Medical malpractice can be a tricky subject. Not everyone understands what medical malpractice entails which leads to many misunderstanding rights under the law. Medical malpractice occurs when a healthcare provider doesn’t meet the standard of care owed in the same or similar circumstances. The standard of care all depends on the type of doctor and the area of medicine. No matter how you look at malpractice law, it is important to have a team of medical malpractice attorneys to help you navigate the ins and outs of medical malpractice. All medical malpractice claims stem from an area of tort law called negligence. For someone to be negligent, they must first owe a duty to a particular person or set of persons. That duty must be breached, and the injury must be both a foreseeable outcome of the breach and actually caused by the breach of duty. The only way to recover under tort law is for there to be damages associated with the negligence, especially in medical malpractice claims. If this sounds complicated and nebulous, that’s because tort law is vast and intricate. Not all injuries sustained while undergoing medical procedures are considered ripe for medical malpractice claims. Hospitals and medical professionals can successfully defend a claim when the injury sustained by the patient was outside the realm of possibility given the form of treatment. In other words, a bad outcome isn’t automatically a claim for medical malpractice. Additionally, if a doctor or hospital did everything to follow the standard of care in similar or identical circumstances, courts will often find that the hospital or doctor didn’t breach the duty owed to the patient. That is why it is so important to have experienced medical malpractice attorneys on your side to help advocate for your rights under the law. Doctors and Hospitals have experience defending claims, so it is best to hire a professional to help in your medical malpractice claim. While some legal claims can be tackled on your own, medical malpractice claims do not number among them. If you find yourself injured, call a professional to help advocate for your rights. Not only will professionals have an understanding of the laws surrounding your medical malpractice claim, but they will also have a better understanding of the court system and the processes by which you should file a claim and seek recovery for your injuries. Central Ohio medical malpractice attorneys will know the questions to ask and where to find the information to best inform a court of the full extent of the injuries suffered should a doctor or hospital act in a negligent manner. 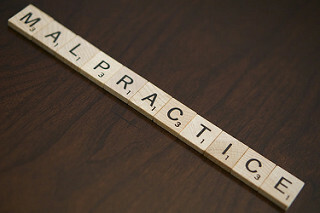 Medical malpractice claims are often time consuming and can cause great strain on those involved. A dedicated team of trained medical malpractice attorneys can help to ease the strain involved in many of the cases. If you or a loved one has suffered an injury from a medical procedure and you suspect medical malpractice, contact the medical malpractice attorneys at The Jones Law Group. The trained and dedicated medical malpractice lawyers and staff will review all injuries on a case-by-case basis and help to advocate for your rights. Medical malpractice cases can be complicated but with the help of The Jones Law Group you can rest easy that your case is in good hands. Contact us today for a free consultation.